Australian Duo jack bies Burgundy/black. This jacket is of high quality and is colored black / burgundy red. 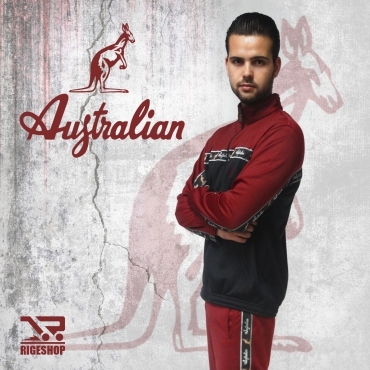 It has the Australian logo in the small front and large at the back. Join the Australian family!